Personalized Belts Sales are final. No refund or exchange, so please make sure you are selecting the correct size based from our formula in this listing. Also personalized belts are stamped with standard 3/4″ letters in the middle-back of the belt on the top side of the Belt. Unless further details are discussed prior to your order. 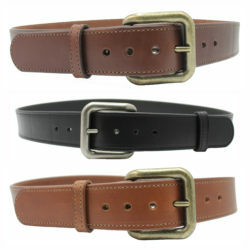 ***FIRST You Must Choose Belt Size: 28″ to 60″ Belt sizes are standard in stock. 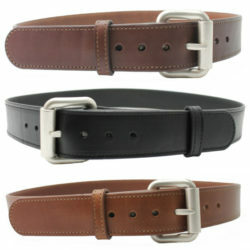 Belt sizing is made easy by following 3 simple steps. 1. Take your current size pants you wear regularly. 2. Add 2” to this size. 3. Round up to the nearest even size. Have you ever owned a belt and wished there was a hole in between the standard 1” holes? Well we punch 7 holes ¾” apart to give you much more adjustment. 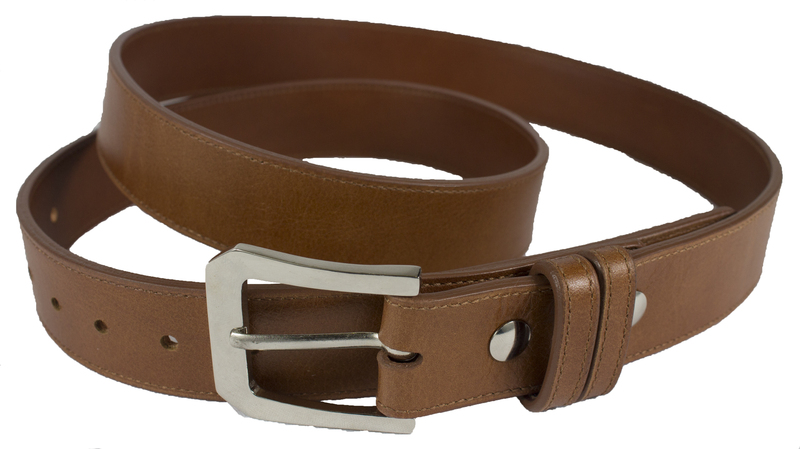 This belt will give you that extra little adjustment after a great holiday meal. Hold this belt in your hands and you can feel the difference and the exceptional quality over any belt on a retail display rack anywhere. All belts come with a 3 year guarantee but you won’t need it, since these belts can last well over 25 years. With a little love and care; you won’t need to buy another belt ever, unless you need another color or want to give a friend a gift that will be remembered for years to come. 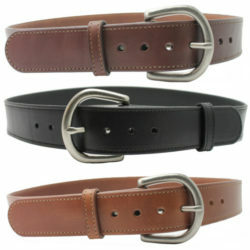 Break in Period: Remember you are buying a brand new belt made from solid leather. When the belt first arrives it will be a little stiff. Please be patient and wear the belt daily for a couple of weeks. 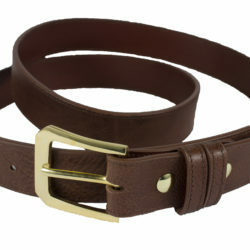 After this break in period the belt will practically become a part of you. The leather will soften and your favorite hole will stretch slightly and will feel like a glove around your waist. 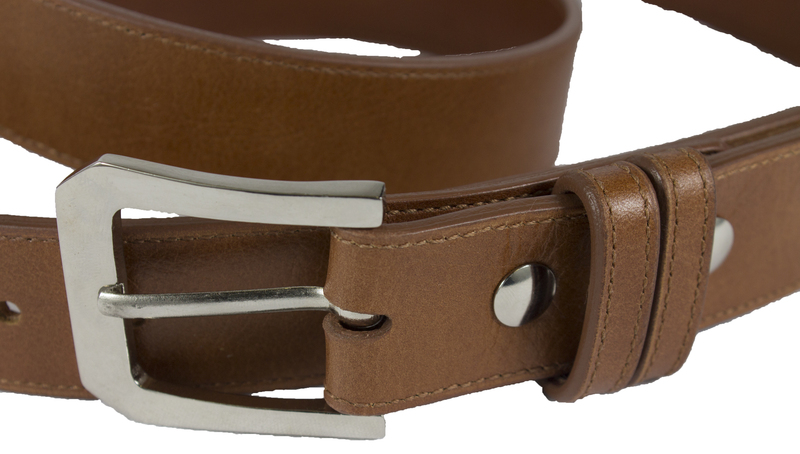 Genuine Leather Guarantee: This belt is cut from the finest California Latigo hides. The markings & irregularities that may appear on this belt are natures own, and assure you of authentic leather. Color lots also change slightly during tanning. The color on your monitor may be slightly different from the belt you receive.